Hype is not easy to live up to. Through months or years of teasing and trailers and getting your audience interested and excited, by the time a game releases it can have an insurmountable wall of hype built up that you just can’t manage to jump over. The expectations are too steep, and the hurdle too tall. I’d already been burned by the hype train recently, and was getting worried that Moon Studios‘ lush platformer would stumble and falter as well. Luckily Ori triple-jumped over that hurdle with ease, dashing onward to win the race. Now I could go on to tell you about how beautiful a game Ori and the Blind Forest is, both in its smooth, fluid animation and its touching, heart-felt story; but I won’t. Or I could mention the perfect soundtrack, with melodies that match the settings poignantly, often soothing and relaxing; but I won’t. No, every other review out there for Ori and the Blind Forest is talking about how amazing and wonderful it is. By now that should go without saying. Instead I’m going to address my two (yes, only two) complaints about the game: the extremely high difficulty curve at select moments, and the missable collectibles. Approximately 97% of Ori and the Blind Forest is incredibly well balanced. The puzzles are difficult, enough to make you stop to take in your surroundings and think things through, without being impossible. Even when you get stuck, usually all you need do is wander around and collect some power-ups. When you return you’ll be a little stronger and have a fresh perspective. Often you’ll work it out quickly after popping away for a bit. 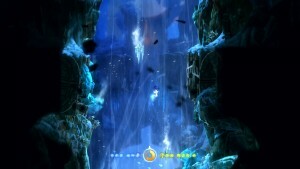 The other 3%, however, takes place during moments I describe as “escape zones.” Whether you’re fleeing from an angry bird, a raging flood, or erupting lava, Ori must go through a sort of “lightning round” of obstacles, rapidly jumping with pinpoint accuracy from one perilous ledge to the next, avoiding death. If you’re too slow and that which is chasing you catches up, you die. If you make too many mistakes and take too much damage, you die. If you miss your jump and land in the hazard zone, you die. There are no checkpoints in the escape zones, meaning you start back at the beginning every time you die, which will likely be no less than a couple dozen. From start to finish each escape zone shows you constantly on the move for about two minutes. It doesn’t seem like a lot until you’re caught in the middle of it, when you realize just how frustrating it can be, taking 10 to 15 minutes or more to complete through constant trial and error. Each section of an escape zone presents a new challenge that requires faster than immediate reaction time to overcome, lest you get caught by the water, et al. You might try to look at your surroundings for a few deaths before figuring out what you need to do, then you’ll die another six or seven times before actually succeeding to do it. Then you move on to the next obstacle and repeat. I legitimately got so frustrated with my first escape zone that I had to turn the game off and come back to it the next day. When I did return, however, and I made it past that section, I felt SO. DAMN. GOOD. From then on whenever I encountered a new escape zone I would grit my teeth, sit up a little straighter, pay a little closer attention, and just go for it. I began to enjoy the added challenge, and indeed came out the other end feeling all that more accomplished and satisfied. Truly, this is game design done right. Except, the escape zones present one more problem. Each zone has a handful of scattered power-ups and collectibles waiting to be nabbed. I attempted to grab them in my first escape zone, but quickly decided that I’d return to the area later in the game when I had better skills, could jump further, and was more comfortable tempting fate like that. Only you can’t do that. Once you wrap up an escape zone, that section of the map is henceforth closed off indefinitely. There is also no ‘New Game Plus’ option to allow you to catch them on a second playthrough. Once you complete the game, it is locked off. No more exploring Ori’s forest unless you start another game fresh. On one hand this is truly frustrating for achievement junkies like myself. On the other hand, boo frigging hoo. So many “achievements” these days are anything but. They are handed out willy-nilly, and take little to no effort. So to have these completely missable items that you’ve only got one shot at makes attaining them even more gratifying upon collecting them, I would wager. Plus you can still complete the game and fall in love with the world just fine without finding every hidden power-up. This is purely a gripe for people looking for a quick boost in Gamerscore, which is no reason at all to fault the game as a whole. While it seemed an obnoxious choice at first, the more I think about it the happier I am that Moon Studios went in that direction. It only takes 8 to 10 hours to complete the game. It is certainly no hardship to restart and have another go, especially when the quality of the game is as strong as Ori and the Blind Forest. So there you have it. Even my two complaints ended up having incredibly silver linings, and to be completely honest it was difficult even attempting to talk bad about this game. Though I said I wouldn’t discuss these things before, the music is perfect; the story is beautiful; and the graphics are immaculately crafted. No glitches, bugs or framerate issues to be found. Moon Studios is an indie company with AAA experience, and that experience shines brilliantly in Ori and the Blind Forest. Every facet of the game is wonderful, even the “bad” parts. It is undoubtedly the best game of 2015 thus far, and it will take nothing short of perfection to overthrow it in the nine months to come. 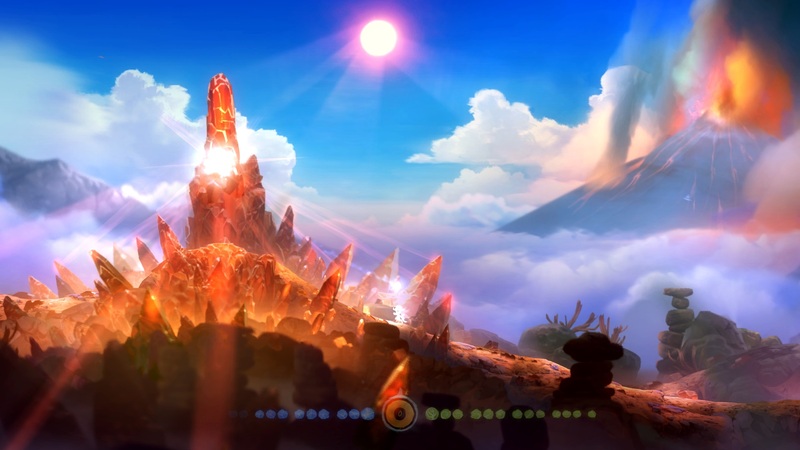 Ori lived up to all of its hype and indeed, surpassed my already high expectations. 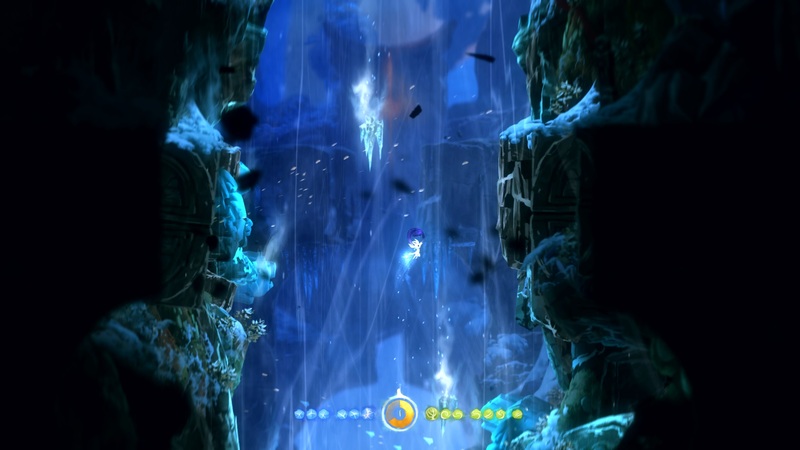 Ori and the Blind Forest was developed by Moon Studios and published by Microsoft for the Xbox One and PC. An Xbox 360 version is slated to release later in 2015. A copy of the game for Xbox One was provided to Save/Continue by the publisher for review purposes.